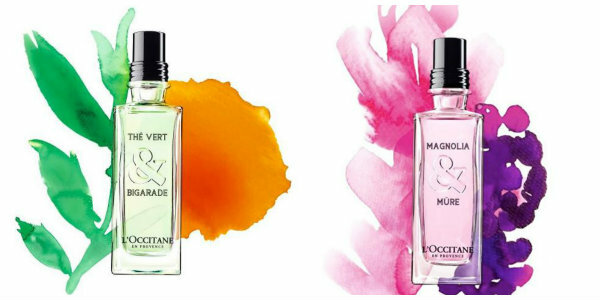 L’Occitane recently launched La Collection de Grasse – four dual note fragrances, mixing iconic scents from Grasse in Provence (the birthplace of modern perfume) with other notes from around the world. All four are delicious, elegant and unique, housed in chic, 75 ml glass flacons. To help you choose between them, Allsun and I have both reviewed our favourites from this lovely new range. 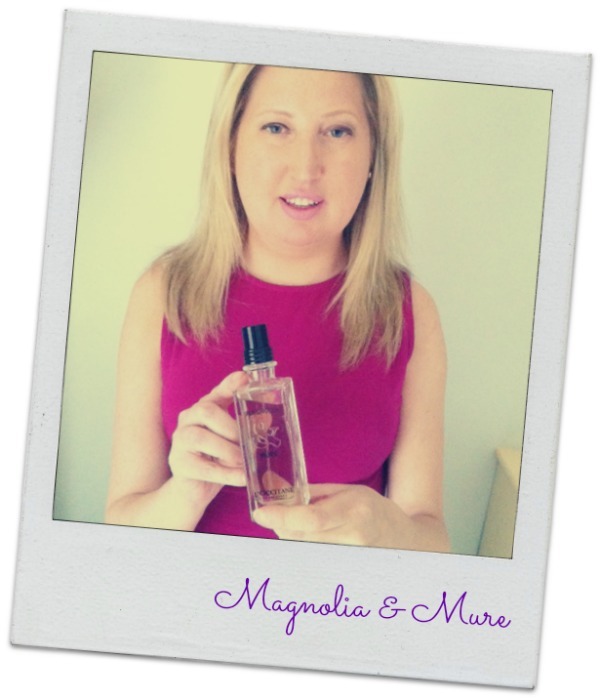 I’m a user of very fruity smelling perfumes, so the Magnolia & Mûre scent struck a chord with me straight away. The whole idea of bringing a flower (magnolia) and a fruit (mûre is blackberry to you and me) together in a fragrance seemed like the perfect combination to me. This fragrance has a sweet, fruity, and slightly woody odour. It’s really lively and fun, yet at its heart is very elegant and modern at the same time. It packs a punch from the first spray, and its staying power is unbeatable. All the notes - bergamot, blackberry, magnolia, rose, patchouli and moss - assert themselves over time. I have sprayed this fragrance all over my clothes, jackets, scarves and I love the way when I now open my wardrobe I get the most amazing waft of nature & summer which instantly brightens up my day. I urge you to try this fragrance for yourself, and if you get the chance take the time to experience the entire L’Occitane La Collection de Grasse – it’s really nature at its best. I feel like I’m cheating on the other three scents by choosing a fragrance but, lovely as they all are, Thé Vert & Bigarade (Green Tea and Bitter Orange) is the one that’s really turned my head. It’s the only unisex fragrance of the four and it’s divine – fresh and crisp, with lots of citrus coming through from the bitter orange (which doesn’t actually smell bitter at all). Cool and refreshing, it’s ideal for warmer weather and smells like sunshine and light and happiness, bottled with a green tea twist. It also lasts considerably longer than most citrus scents do on my skin, which is another bonus. To sum up, and in a word: yum. 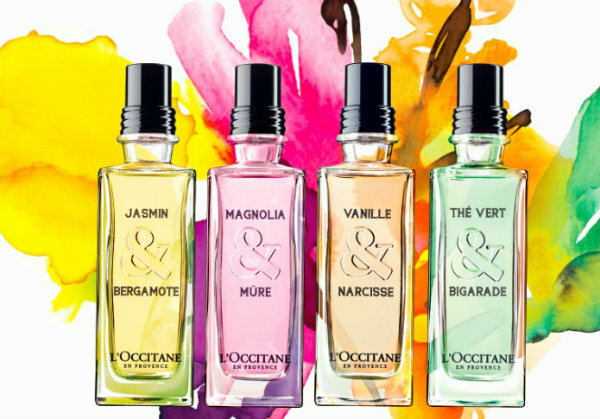 L’Occitane La Collection de Grasse includes Vanille & Narcisse, Magnolia & Mure, Jasmine & Bergamote and The Vert & Bigarade; they’re all €55.00 for 75ml, and out now. I'm useless on deciphering a scent from the description, must have a sniff! i have never tried their smells, but i hear so much about them! haha. all the scents sound delightful. very light! great review you two. I love the L'Occitance scents! My favourite is Fleur Cherie! I tired these recently and they are all lovely! These look really pretty! Must swing by the shop to have a look at them! 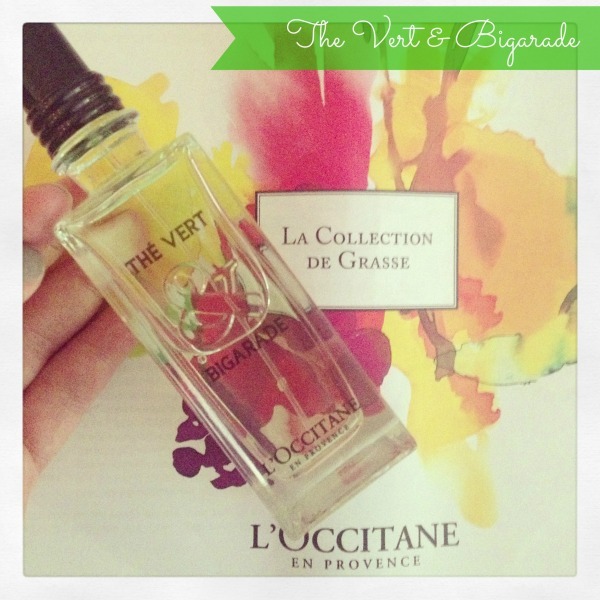 L'occitane had a thé vert fragrance before (as in not mixed with anything) and it was one of my favourites. I was sad when it was discontinued. I also love the idea of unisex fragrances so I'm already pretty sure I'm going to love this. Damn it, the other too sound more like my type of perfume. Any chance of a mini review of them Emma?